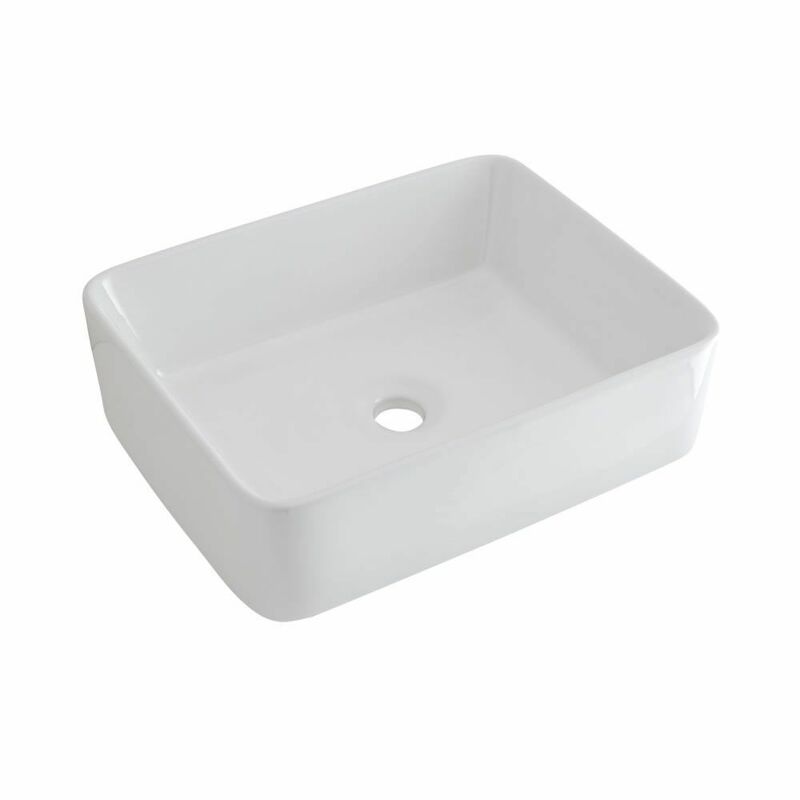 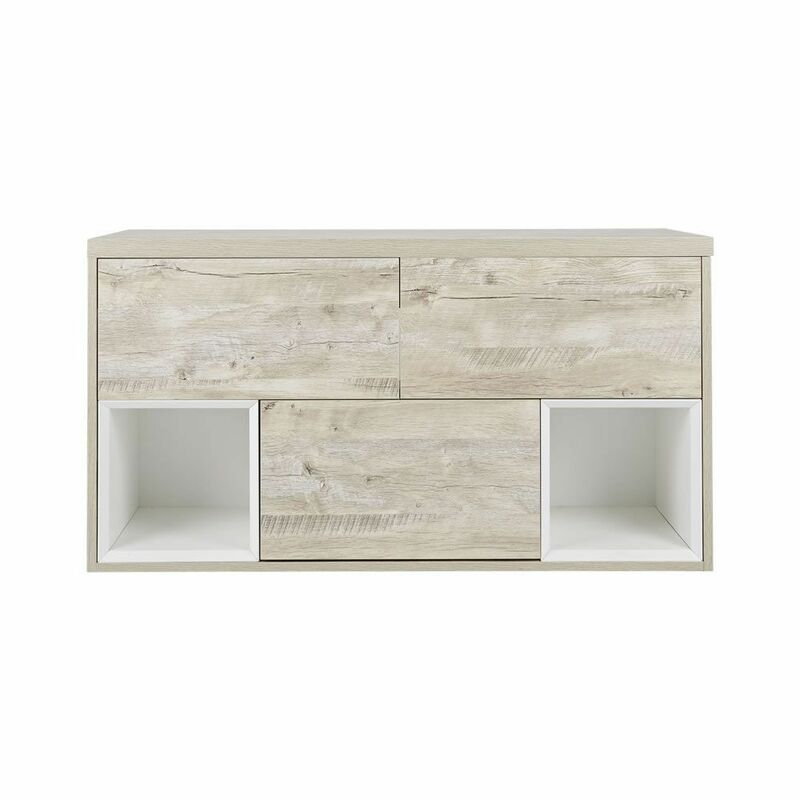 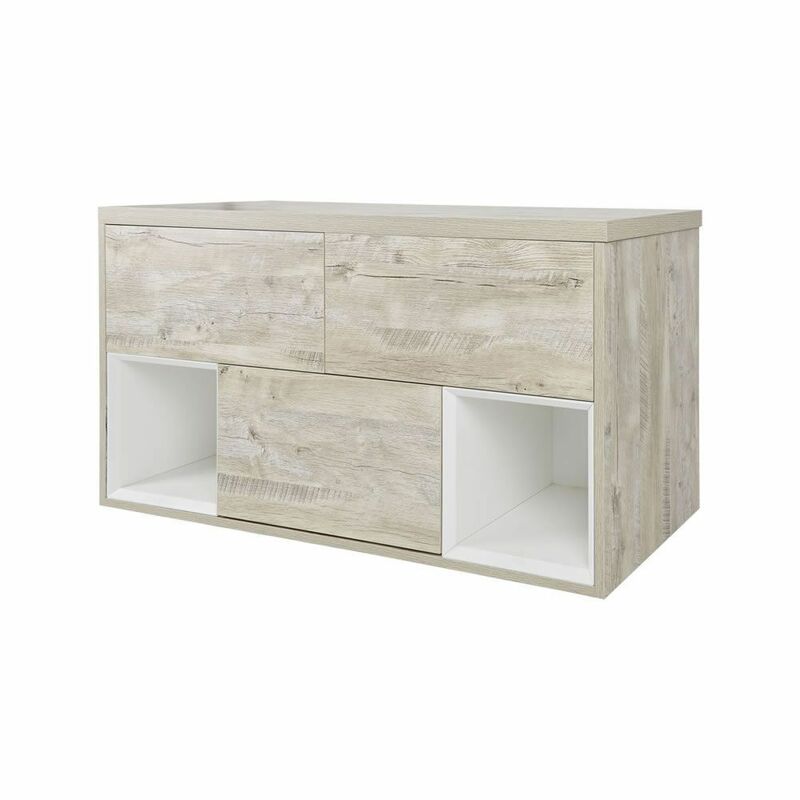 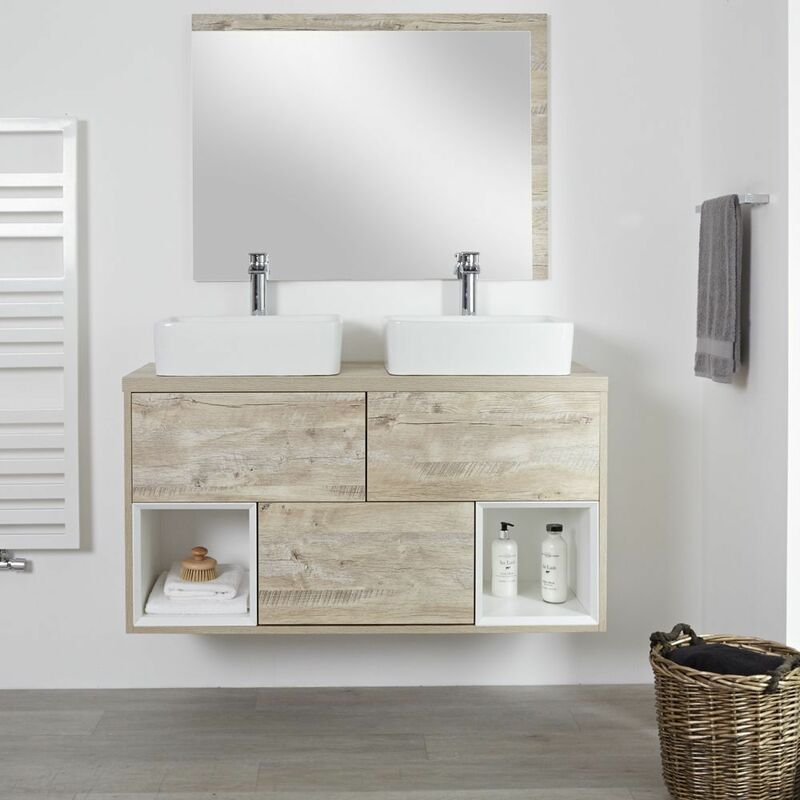 This Hoxton 47.25” console double vessel sink vanity unit provides a stylish yet practical storage solution for the likes of toiletries, perfumes and aftershaves. 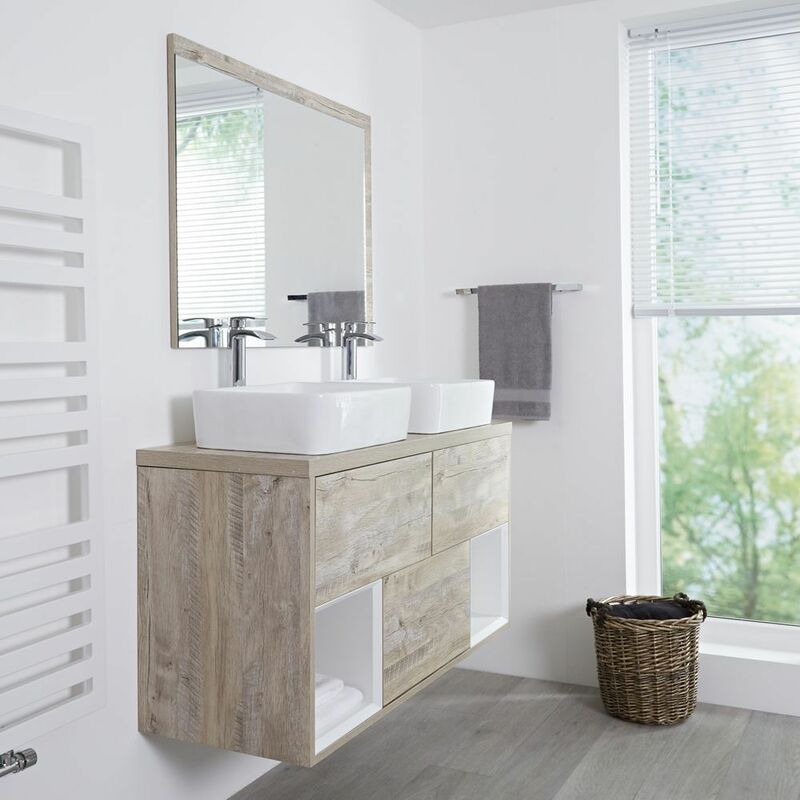 Incorporating a lovely light oak finish and a wall mounted design, the double vanity will add modern designer style to any bathroom space. 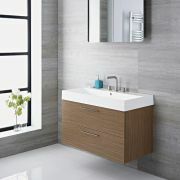 Supplied complete with the double ceramic sink, it includes three push-to-open drawers and an open shelf with plenty of storage room.